A year ago today, a beautiful little baby girl was born. Today many of us will be wearing pink in her memory. 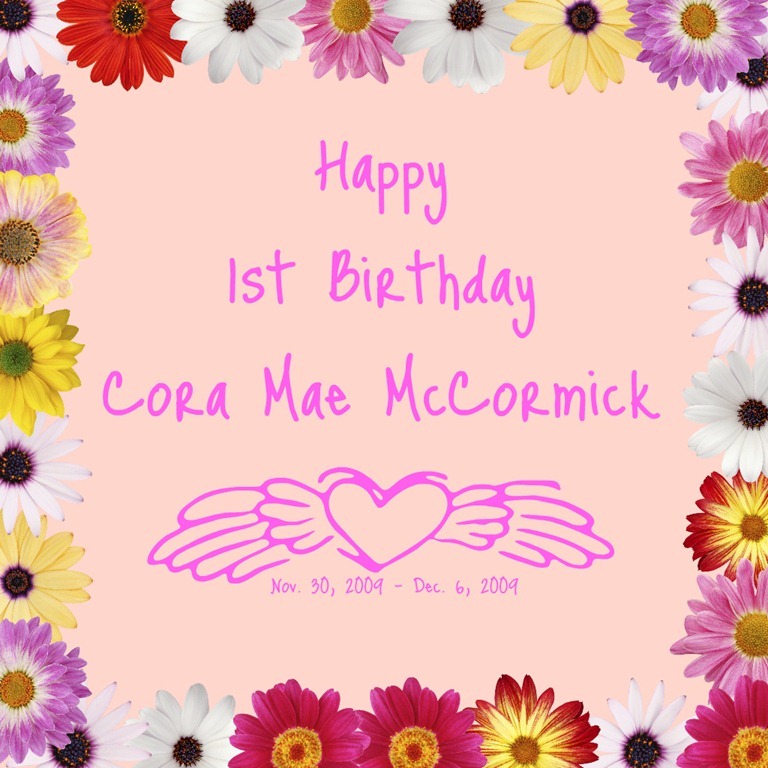 Today is Cora’s birthday, and because of Cora, I now know that CHD can often be detected by a simple, non invasive pulse ox test, and to celebrate Cora’s birthday, I’m not just wearing pink, I’m also putting my pregnant friends on the spot and telling them to request one before they go home if they have a hospital birth. As I wear pink, I will be thinking about Cora and her amazing mother and father, Kristine and Ben. It is because of their willingness to share their sweet baby girl with us that many lives have been saved and more will continue. Hugs being sent out to Kristine and Ben. 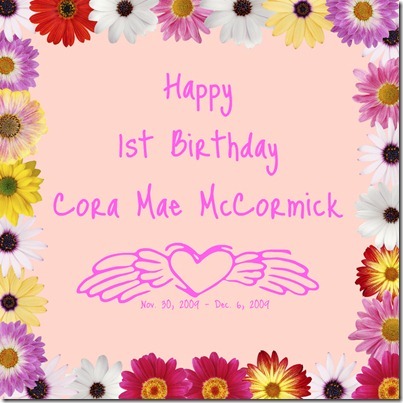 Thank you for sharing your sweet baby girl and Happy 1st Birthday to Cora.